Aftco Fish Bat FB-2 Can't Rust Or Break, Won't Roll On The Deck, And Will Not Sink! AFTCO's Fish Bat is made of molded, glass-filled polypropylene, super strong and corrosion proof, with a special triangular shape that will not roll on the deck of a rocking boat. 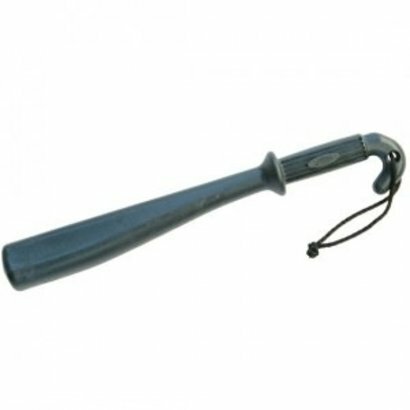 Features include an aggressive, molded-in textured grip for non-slip performance, a braided rope safety lanyard, and a special handle hook, handy for hanging the bat from a railing or ladder. With a 19-inch length and weighing 1.3 pounds, this fish bat hits very hard - and if it falls overboard, IT FLOATS!